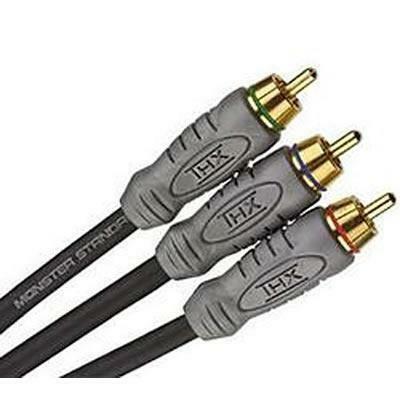 Use the Monster Standard® THX-Certified Component Video Cable to receive the highest quality connection to DVD, HDTV and other component video devices. Component video uses three cables to send red, green and blue signals to provide the sharpest, clearest, best possible picture. Additional Information Uses three cables to send color signal separately for improved picture. Easy to identify color-coded bands for simple, error-free hookup. High-density double shielding for maximum rejection of RFI and EMI. 24k gold contacts for optimum signal transfer and corrosion resistance. Meets minimum THX® certification standards for proper system performance, reliability and ease of installation.